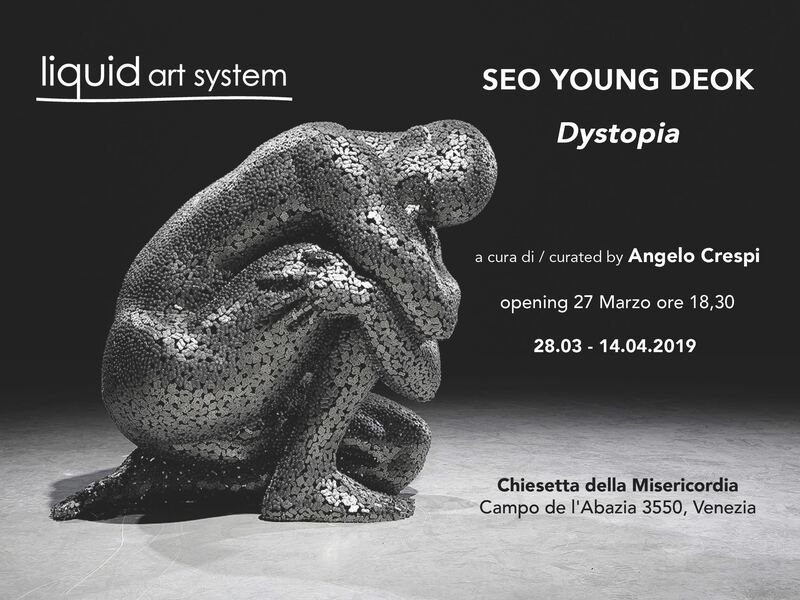 Liquid art system is very proud to announce the upcoming show by Seo Young-Deok in Venice. 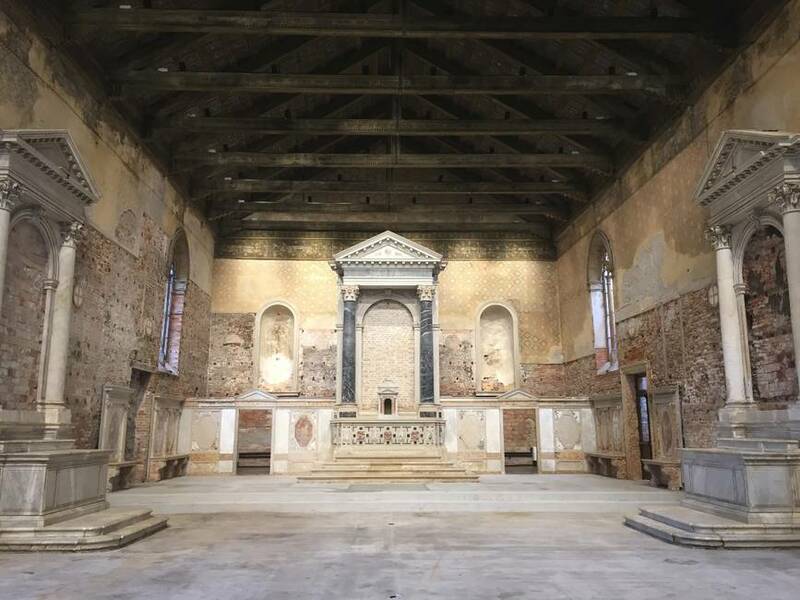 The South Corean artist will be the protagonist of Dystopia, an exhibition curated by Angelo Crespi at the Chiesetta della Misericordia, among the wonderful scenery of the city of Venice. 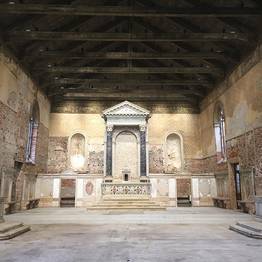 The church is one of the most charming and inspiring places for art in Venice: location of many art shows, it boasts a secular history built century after century. 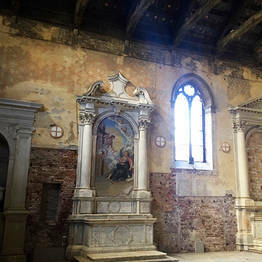 From Byzantine period, to the Gothic architecture during the Middle Age, to the Barocco. 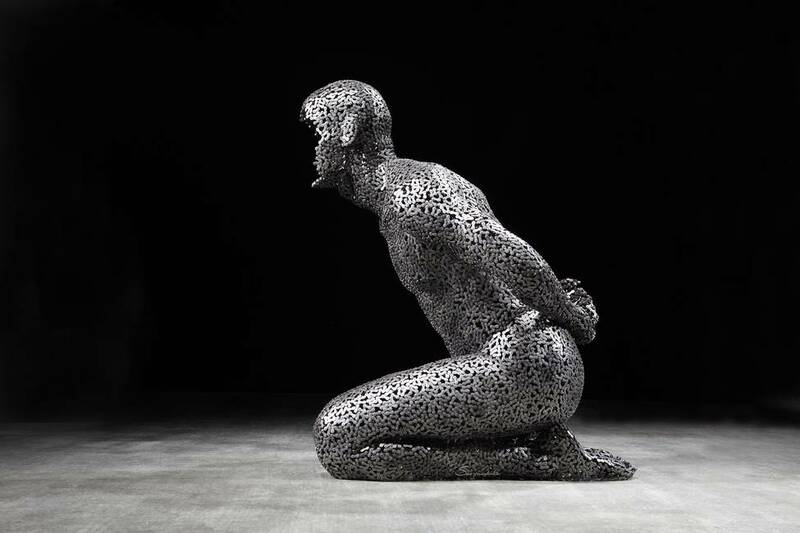 Just as the the church, artworks by Seo Young-Deok communicate among different ages and cultures: his focus on the human body in very hyper realistic shapes connects with the post-industrial material, as chains, in particular the bike ones, referring to a post-human world. The opening will be on March 27th, at 6:30 pm. The exhibition can be visited till April 14th. It is in the full and the empty spaces that Seo's bodies can be puzzled out: the empty spaces recall the eastern philosophies, whereas the full spaces refer to the ancient western civilization. 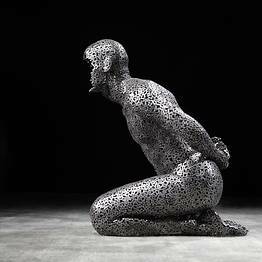 The intensity and plasticity of the postures are indeed the ones from the traditional Greek sculpture, which influenced the Latin world and later in time " with weaker though persistent echoes " the Renaissance and modernity, too. At the same time, the ability to nullify the inside, that is, to represent merely the breath, is aligned with the Zen philosophy and other eastern disciplines that dictate to extinguish all passions and awareness to avoid suffering, since motion is pain and only the absence of motion is peace. 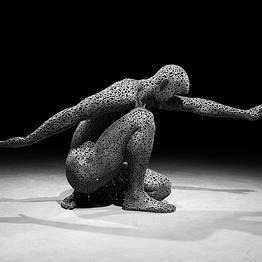 On the one hand, Seo's bodies -made of iron chains or, better, bound and imprisoned in iron chains- become the symbols of the beauty of the shape that endures, and on the other hand they represent the impoverishment of humanity that deals with a more and more inhumane modern world. It is not by chance that the name “Dystopia” indicates the metaphor of a place that is not dear to humanity any more, a place where people become the mechanisms of a device that pushes and crushes them. 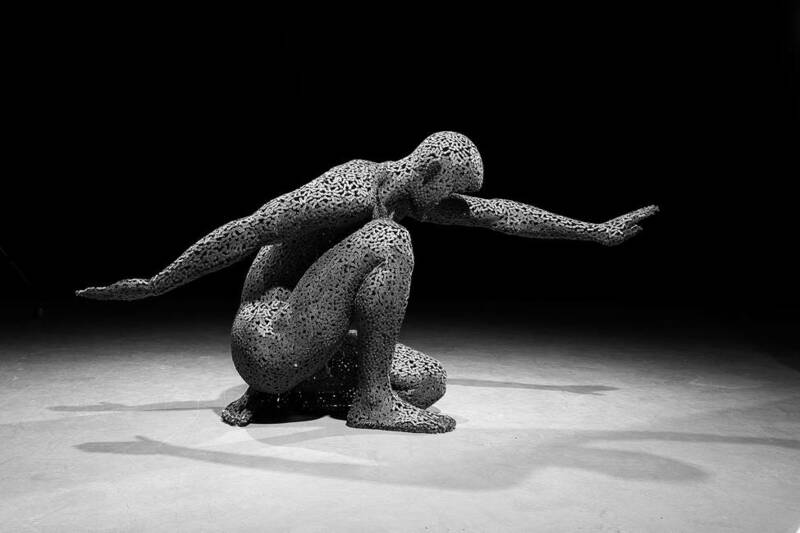 It is in the endurance of the shape and in the inner strength that lies the miraculous possibility to exist longer, a possibility that Seo's wonderful sculptures seem to show to the spectator. 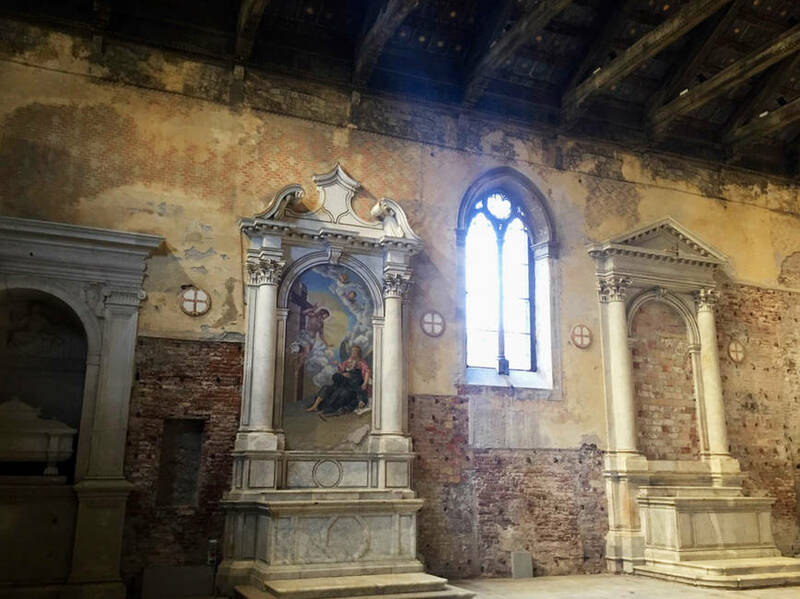 Flawless works in their almost hieratic posture, which find a suggestive stage in the little Church of Mercy in Venice, where the ancient and the modern are in perfect connection.